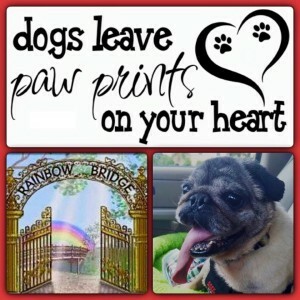 We are sad to tell you that our Louie boy did not make it through his surgery yesterday. But we are comforted that he passed away feeling a great love from all of us at CPR and his foster parents Phillip and Kelli Salm. Louie was one of the happiest pugs we’ve ever known! He didn’t have a mean bone in his body and enjoyed saying Hi to everyone he met! He was a total food monster…could sniff out anything with his blood hound nose! Had a love for warm baths…and he enjoyed each one as if it was the first time he’d had one! To quote his foster dad..”It’s amazing how it takes years to let a human into your heart but a dog takes minutes.” Thank you from the bottom of our hearts to Philip and Kelli for welcoming Louie into their home and lives. 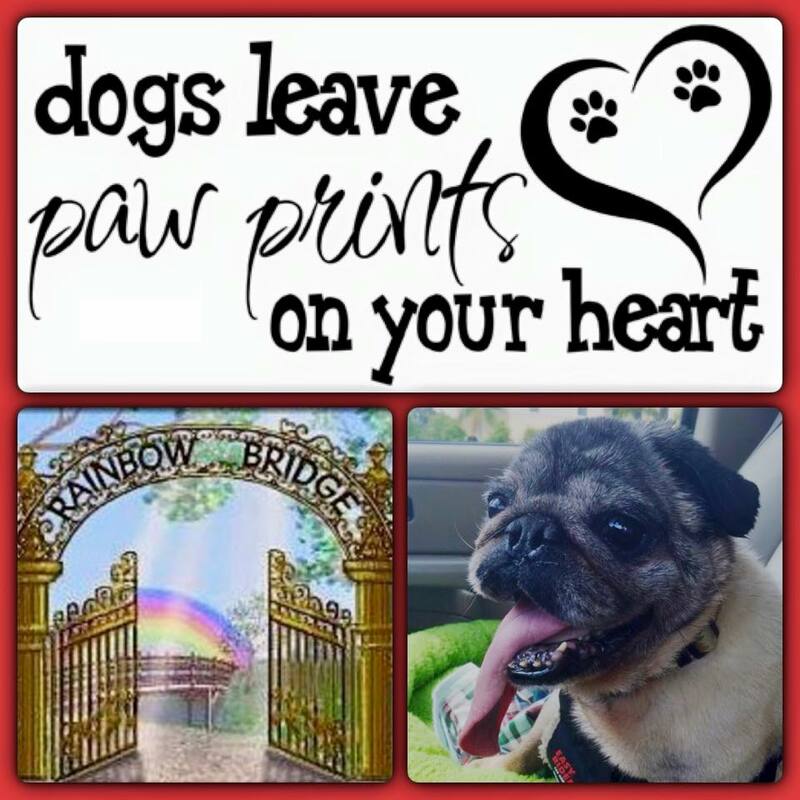 Louie you certainly left your paw print on our hearts and we hope the Rainbow Bridge greeted you with the biggest plate of food and the warmest bath! Rest in Peace sweet guy. 1 Comment on "You went too soon Louie…"